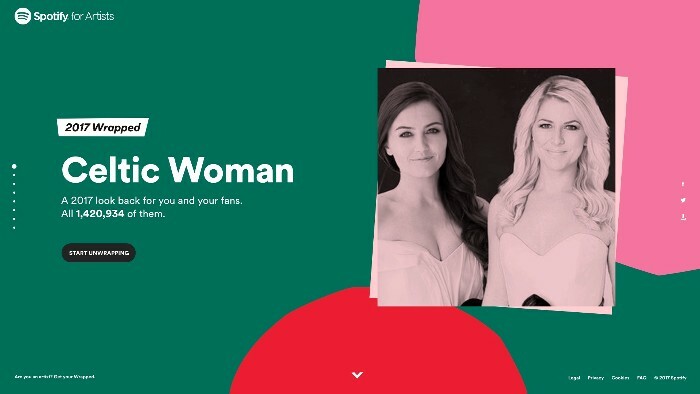 Celtic Woman 2017 Spotify Stats !!! Celtic Woman have had a wonderful time in 2017 and seen great growth in their streaming followers and listenership. We are delighted to share the following facts and figures as provided by Spotify..